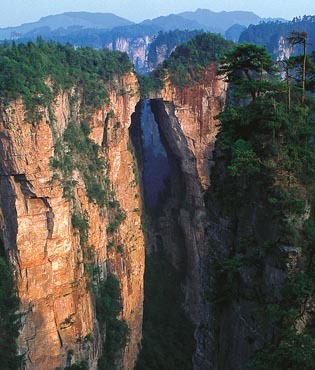 Zhangjiajie Geopark is located in Hunan Province, China. The geopark covers a total area of 3.600km2. In the area 4 main scenic spots—Zhangjiajie National Forest Park, Suoxiyu Valley, Tianzi Mountain and Yangjiajie Nature Reserve—together with Huanglong Cave constitute an integrated ecosystem with a series of geomorphologic landscapessuch as mountains, water bodies, bridges, caves and waterfalls. 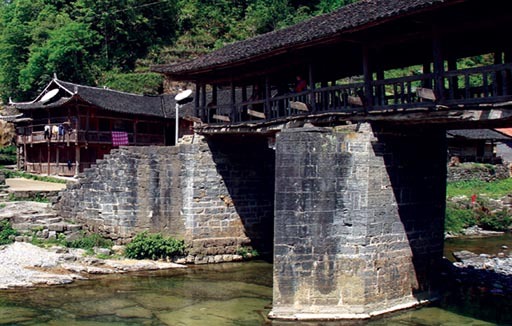 The area is a rare natural museum and famous tourist scenic spot. 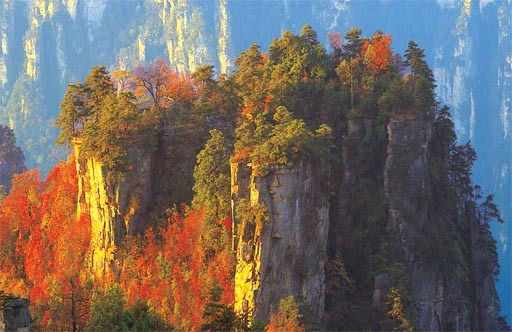 The Wulingyuan peak forest landform in Zhangjiajie represents a unique geomorphic and physicogeographical feature. The peak forest was developed in Devonian Taiyunguan and Huangjiadeng formations, with a distribution area of 86km2. It is a world-rare and unique landform formed in a special tectonic position and under particular conditions of neotectonism and exogenous processes. More than 3,000 rock peaks aloft within the area, of which 1,000 peaks exceed 200m in height, and Jinbianyan exceeds even 350m. The individual geometry includes mesa, platform, peak wall, peak cluster, peak forest, crosscut, stone door, natural bridge and valley, etc. The geopark is centralized by its sandstone peak forest unparalleled in the world, lined with karst landscape, and has many geological heritages such as shaped geological sections, special fossil relic. These constitute a geomorphic assembly of sandstone peak forest with particular characteristics. Another characterized landform is karst caves in the form of hopper, depression, karst cone, stalagmite, stone forest, karst cave, subterranean stream and sinking stream, etc. 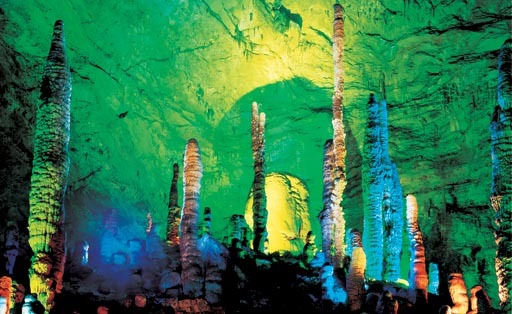 Among these karst caves the Huanglong Cave is the most typical, and the landscape within it is fascinating. There are cave labyrinth, curved stalactite, goose-neck, inclined stalactite as well as bright, colourful and exquisite dripstone in different shapes, such as stalactite, stalagmite, stalacto-stalagmite, stone waterfall, curtain, stone flower, etc. This cave is one of the places found so far in the world where stalagmite are the most concentrated and their expression is the most lifelike. In addition, in the park there rare plants such as maidenhair tree, yew and liriodendron, etc., which provide direct evidence for the research of organic evolution. The park and its surrounding areas also have a long history of human activities and widespread ancient relics and sites.